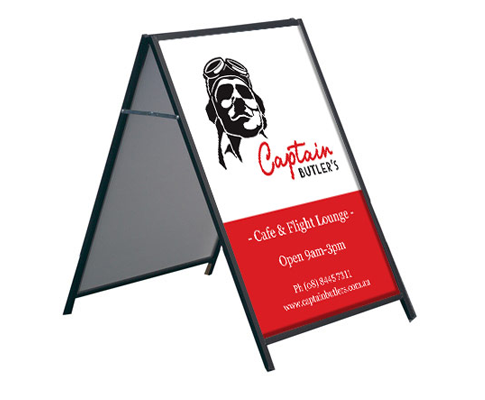 - Includes a metal A Frame unit and 2 replaceable 1 sided 4mm coroplast signs. 18" x 24" 24" x 36"
Quebec A Frame Sign - Colourbond is an extra strong quality A Frame, with graphics applied to the panels. Can be used indoors or outdoors. Strong and portable steel frame.